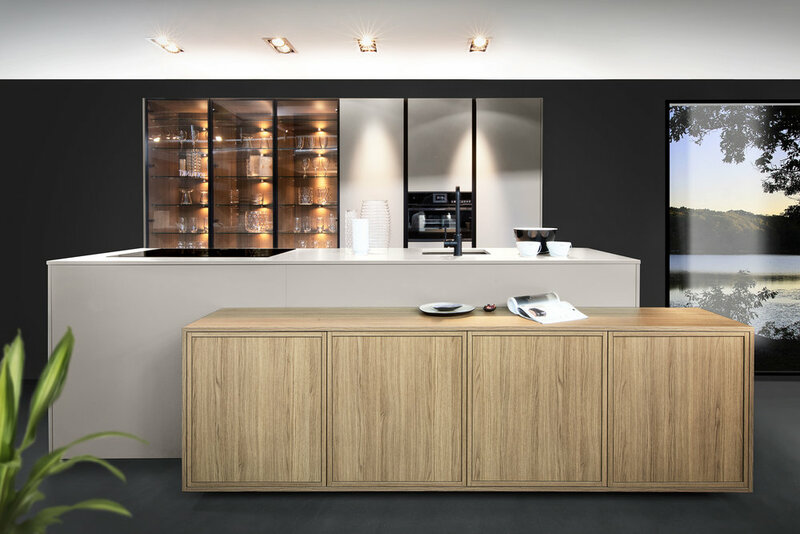 There are various handleless ranges available, from a metal rail to matching the colour of your cabinet. 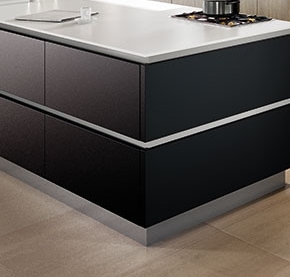 The handleless lines can be followed around an island with end panels that match the drawer fronts if you wish. Various different handleless options, including fully “push” open doors and drawers.